ViaSat, Inc, provides satellite and wireless networking applications; and secure networking systems, products, and services worldwide. The company’s Satellite Services segment offers retail and wholesale broadband satellite services under the Exede and WildBlue brand names, which offers two-way satellite-based broadband Internet access and voice over Internet protocol to consumers and businesses. 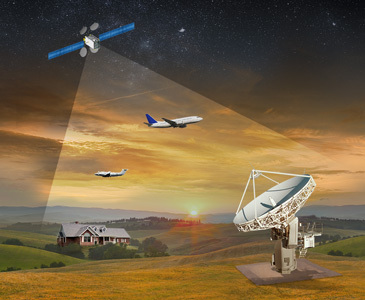 It also provides mobile broadband services comprising network management and high-speed Internet connectivity services for customers using airborne, maritime, and ground mobile satellite systems; and enterprise broadband services. The Company’s Government Systems segment offers government satellite communication systems, including various broadband modems, terminals, network access control systems, and antenna systems; information security and assurance products, and secure networking solutions; and tactical radio and information distribution systems to enable real-time collection and dissemination of secure real-time digital information between command centers, communications nodes, and air defense systems.